Remove the frame cover assembly. Refer to “exterior parts removal and installation” in section 9d . 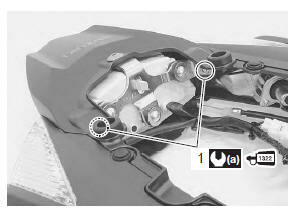 Disconnect the combination light coupler (2). 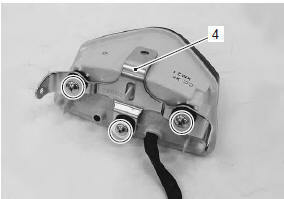 Remove the rear combination light assembly (3). Remove the combination light bracket (4). tighten the combination light mounting bolts (1) to the specified torque. 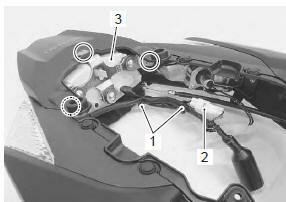 when reusing the removed bolts (1), apply a small quantity of the thread lock to them. if led operation is abnormal, replace the rear combination light with a new one.